Jerusalem | C'est La Vie -This is Life! C'est La Vie -This is Life! 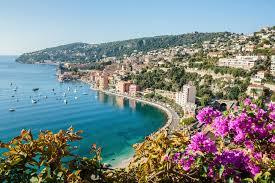 This Fall I plan to visit Nice, France, on the Cote d’Azur (blue sea) in the South of France. 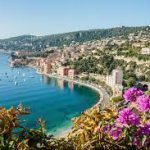 Also known as the French Riviera, it was a playground for artists – inspiring them to create art in a way that Paris could not, with the sun, sea and ocean breeze as subjects of their modernist paintings. 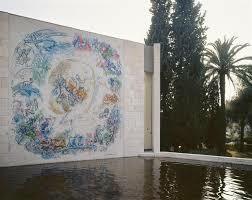 As an artist, I am looking forward to visiting the Marc Chagall Museum i n Nice. 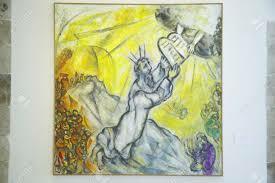 Having a Jewish heritage myself, Monsuier Chagall is a favorite. I first saw his genius in the stained glass windows of the chapel in Haddassah Hospital outside Jerusalem, on my first tour of Israel. I was moved by his biblical scenes and my messianic-Jewish tour guide (a Jew who believes in Jesus) gave a delightful commentary as we visited the chapel. My favorite Chagall painting, La Mariee, is of a bride with violin-playing goat. 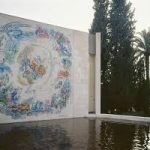 The Musee Marc Chagall was created with the cooperation of the artist himself, with large paintings illustrating the first two chapters of the Bible, Genesis and Exodus; and Solomon’s Song of Songs or Canticles, which is a biblical meditation on love. Marc Chagall, born Moishe Zakharovich Shagalov; (1887 –– 1985) was a Russian-French artist of Belarusian Jewish origin. An early modernist, he was associated with several major artistic styles and created works in virtually every artistic format, including painting, book illustrations, stained glass, stage sets, ceramic, tapestries and fine art prints. Chagall was born into Russian poverty (his father was a herring merchant) and he went on to live a life encompassing nearly 100 years. He lived the Russian revolution, arrived in Paris not speaking a word of French, returned to his village to marry his fiancé and was then trapped in Russia during WWI. He returned to Paris to become one of the Modernist masters, but even this couldn’t save him as a Jew during WWII and his family had to be smuggled out of France to America. During this time his Jewish hometown was decimated from a population of over 200,000 to just 118 survivors. Despite this, his work is infused with joy and optimism, whimsical dreamlike symbols, and always evoking his humble childhood and faith. 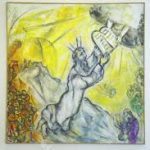 Chagall lived his final years in Saint Paul de Vence from 1966-1985, where he was constantly in motion on new projects, even up to the day he died at age 97 (his tomb can be found in the Saint Paul de Vence cemetery). His works can be found up and down the coast – and sometimes crop up in surprising places, like at the winery Sainte Roseline where a Chagall mosaic covers a wall in the chapel, or in the back of L’Ane Rouge restaurant in the Nice Port, where you can find a red ceramic donkey, a gift to his stubborn red-haired mistress, Anne, who he nicknamed L’Ane Rouge, and who then gave the name to her restaurant. 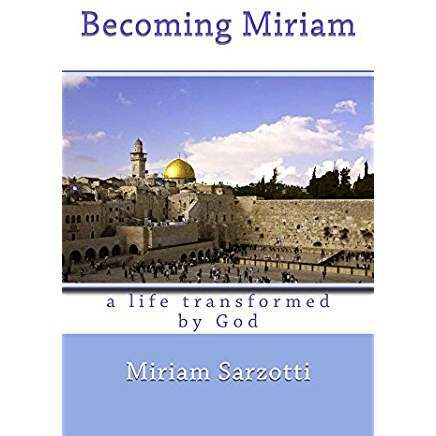 Becoming Miriam: A Life Transformed by God. *adapted from Allison Coe – Best of Nice, Blog. Do you love a great Zoo? Bon Jour! Zoos are some of my favorite things, visiting them wherever I travel. How about you? Today, I will take you on a tour of famous zoos, including one in Paris! I remember as a teenager visiting my older sister Kathy in San Diego and spending the day wandering the huge San Diego Zoo, happy to see the animals in natural habitats. My favorite animal is the seal or otter, and I love to see them swimming around while barking. And of course, I often travelled to the San Francisco Zoo, taking my students when I was teaching elementary school. 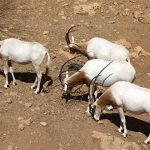 Then one day while staying in Jerusalem during my missionary days there, I took the bus to the The Jerusalem Biblical Zoo to explore. It was November, and warm with a cool breeze, like the Fall gets there. Colorful leaves blew around my feet as I debarked the bus. I paid my 10 shekels to enter and was so surprised to see the native animals of the Bible, one after another. Each habitat had a sign posted with the Scripture from the Jewish Bible that mentions the animal, and where it came from, which was fascinating to see! God’s Word at the Zoo! 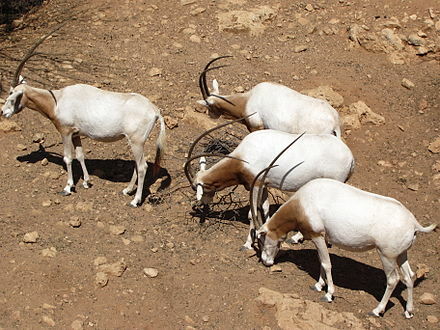 King Solomon brought many of the animals on his great ships into the port at the tip of the Red Sea, now know as Eilat. The zoo sees its primary goal as the conservation of endangered species. These include animals mentioned in the Bible which are now extinct in Israel, such as the Asian lion, the Syrian brown bear, the Asiatic cheetah, the Nile crocodile, and the Persian fallow deer. Finally, I reached a large open reserve where animals roamed freely together. I rested on a bench overlooking the reserve nearby an Orthodox woman, in her long sleeves and skirt and wig, nursing her baby. I was shocked as I had never seen an Orthodox woman breastfeeding. She smiled at me, and I smiled back. Such peace and tranquility until an Israeli fighter jet flew overhead, breaking the silence and scattering the animals. A spark of fear settled in my heart, wondering if an attack was imminent. Just a typical day in Israel, I reminded myself. And in the spirit of keeping everything French and highlighting some fun things to do if you get to Paris, may I recommend the Melagerie du Jardin des Plantes (Zoo & Gardens), the oldest zoo in France, right in the heart of Paris. In 1793 the Jardin des Plantes, which was originally a botanical garden, became the first public zoo in France. The compact 16 acre area, with formal 18th-century landscaping, was retained when the Jardin was renovated between 1918 and 1939. It holds some 1,100 specimens, including the rare Przewalski’s horse. It was the personal zoo of the aristocracy, who selected many animals to reside there from all of Europe and beyond. I plan on visiting when I take my trip to Paris in the near future while enjoying the beautiful botanical gardens. I hope to paint some of the flowers there with my pastels and include them in my art greeting card collection. I wonder what animal and flower will be my favorite? Restez à l’écoute – stay turned! Au revoir mes amis. – Goodbye my friends! or for sale at Amazon.com. I fell in love this week. 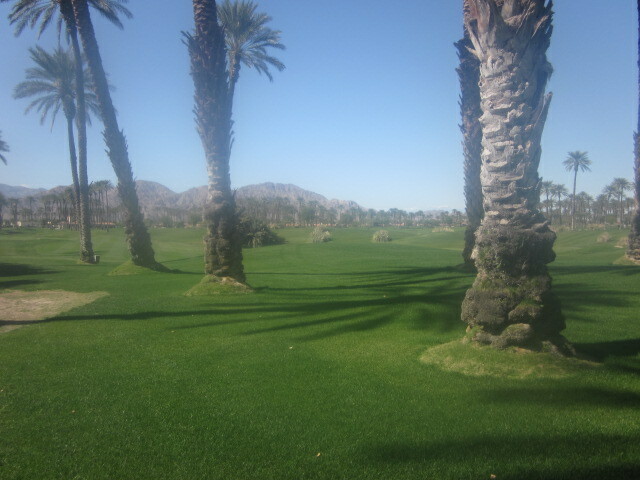 With Palm Springs. 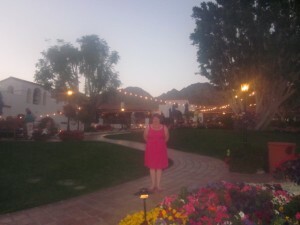 I flew down on a four day vacation as a guest of my high school friend, Lisa, who owns a home in La Quinta, one of the desert towns outside Palm Springs. Palm Springs is in southern California about 2 hours east of Los Angeles. 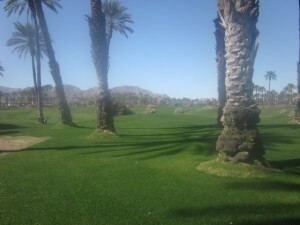 It is in the desert, surrounded by the Santa Rosa and San Jacinto mountains, creating a valley filled with date palm trees, golf courses and hidden oasis’ with natural mineral springs. It was first inhabited by the Cahuilla Indians who still reside there and own most of the land. Today Palm Springs is a haven for wealthy snow birds, elderly people who come for the dry desert heat and sun good for their arthritis. 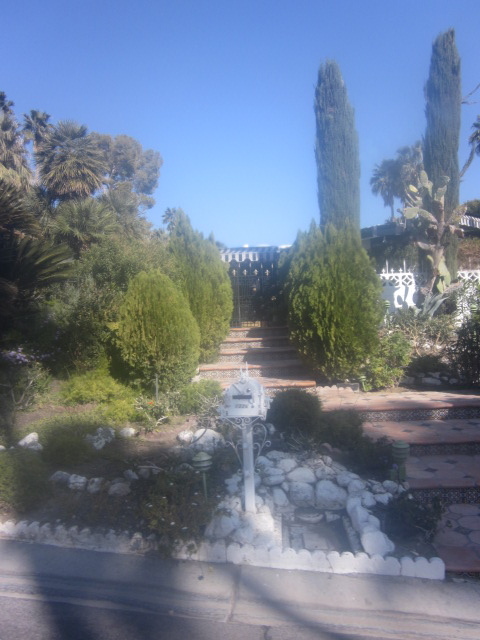 It was once the playground for the rich and famous celebrities from old Hollywood, such as Frank Sinatra, Vivian Leigh and Kathryn Hepburn. Back in the old studio contract days, movies stars had to stay within an hour and a half distance from the studio and Palm Springs fit the bill. followed Elvis’s life with a passion. 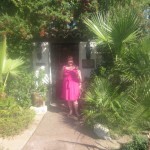 Lisa surprised me with a tour of the celebrity homes and one afternoon we met up with the tour in downtown Palm Springs after having the most divine corned beef Rueben sandwich from Shermans, the famous old time Jewish deli. The eight passenger van of 5 Star Adventures whisked us away as they related the early history of Palm Springs. The movie stars first came and stayed in tents, later bringing their own trailers and finally building small desert homes to come play and stay in during the winter and spring months. We entered the Las Palmas area and I was surprised how small the houses were. I was told they were built without heat or air conditioning, most were 900 to 1600 square feet. We slowly drove past each home, with the tour guide announcing titbits of who lived there. 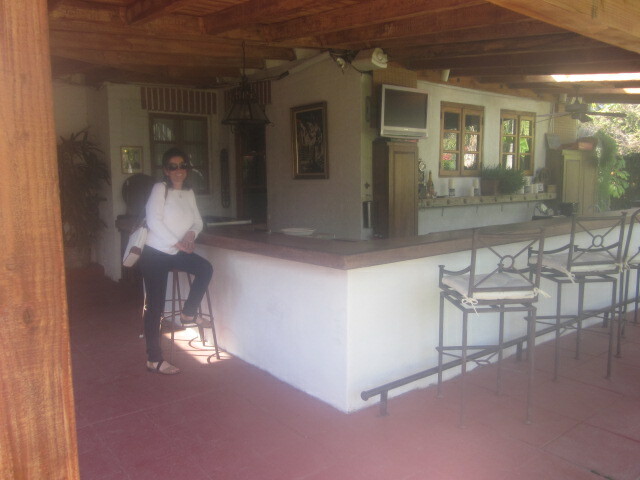 We we lucky to peak inside the open gates of some houses including Lucy and Desi Arnaz’s home. I jumped out of the van to take a picture in front of Elvis’ home that he owned in the 1970s up until his death. His house was later sold to finance Graceland, his main residence in Nashville, Tennessee. throughout the small property around the main house. The Rat Pack used to hang out at the outdoor bar and Lisa and I took pictures of each other, thrilled to be sitting in the same seats that Frank, Dean, Sammy and Peter once sat in and drank their famous martini’s. weddings frequently took place there. She shared the movie Liberace with Kirk Douglas and Matt Damon had just been filmed prior to us visiting. What better place to celebrate my new life with my husband than in the ridiculously inexpensive playground of such history? 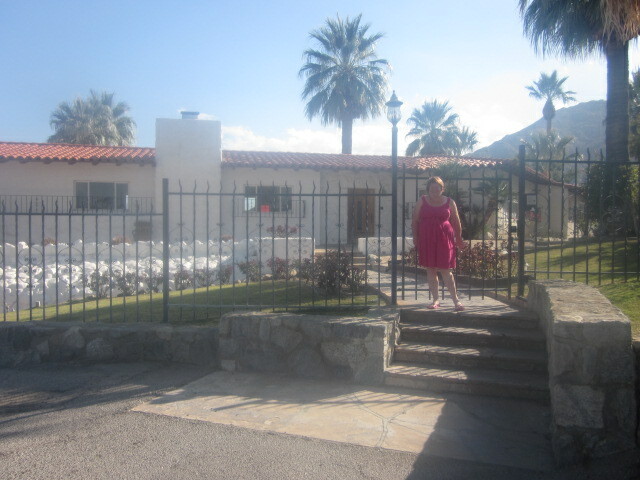 Once the tour was over, Lisa and I strolled down the main street, Palm Canyon Drive, looking at all the fun shops and stopping in for a refreshing soda from the 80 degree heat. We sat at tables that swung like a swing, the type you would only find in Palm Springs. Once done we hurried over to the huge 26 feet tall statue of Marilyn Monroe that was on exhibit. Created by artist Steward Johnston, it features her famous skirt blowing up from the subway grate scene, from her movie The Seven Year Itch. 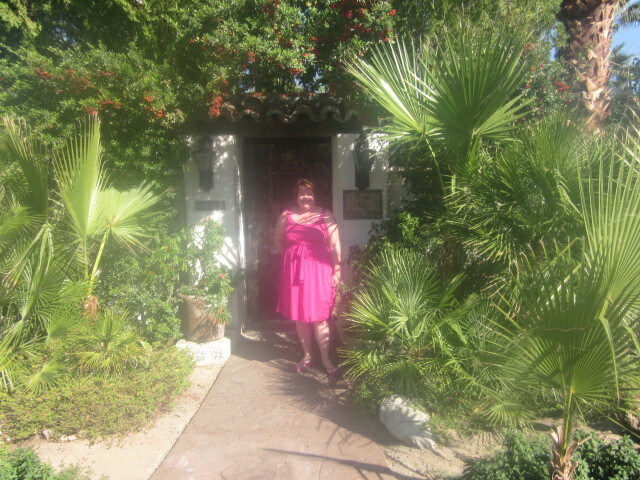 It is a traveling exhibit and one Lisa and I both felt should stay in Palm Springs as Marilyn was discovered at the Racquet Club here many years ago. Every evening I sat on Lisa’s patio under the palm trees looking up at the dark starlit sky with the warm desert breeze blowing through my hair. 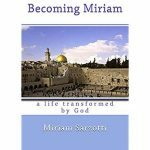 The Lord whispered to me that He was bringing a new season into my life, a time of refreshment and personal fulfillment, a time to retire from full time ministry and pursue my hopes and dreams. What did this look like? A job working in a field of my choosing. A time of marriage and motherhood. An opportunity to travel all those places I have dreamed about. A Greece cruise. 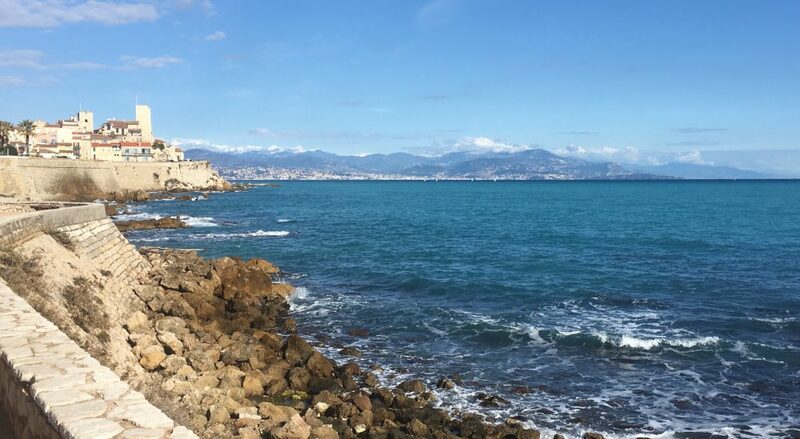 A footsteps of Apostle Paul tour in Turkey. Training through Europe. Painting the light in Venice. Sitting at a cafe in Paris and writing my next book. Or rewriting my current one! Moving to Lancaster, PA, where the Amish reside, to live a life based around God and family. Canning my own vegetables and learning to make my own soap. Sewing my child’s clothes and homeschooling them. All the dreams that life took from me and a life serving God called me to sacrifice. For now I drank in the beauty of the desert mountains surrounding me, reminded of the Scripture: As the mountains surround Jerusalem, so the LORD surrounds his people both now and forevermore. Psalm 125:2. I found Him here in the quiet of the desert, the peacefulness of the air and sunshine. In the laughter of Lisa and I as we told stories of our lives in the years we were apart. I left behind all the stress and tiredness of my life in the Bay Area. The insanity of a life detached and lived through social media, texts and email. The frustration and difficulty of being in full time ministry. The Lord knew what I needed. He met me here and refreshed me body, soul, mind and spirit. flowers peeking through. Eating dinner under a night sky at Morton’s at the old Quinta Inn where Clark Gable and Carole Lombard once ate and stayed to escape the fame of celebrity. And now it is time to leave. As I sit at the airport gazing out at the mountain ranges turning different shades of rose and purple, I have mixed emotions. I am grateful to the Lord for this new season. Yet I feel a sadness at leaving the desert. For it is here the Lord brings me to refresh me, whether it be in Israel as I float in the dead sea, surrounded my the huge Judean mountains, or as I hike in the Mohave Desert in Nevada on a spring time retreat. He is famous for calling His servants to the desert to have a time of intimacy with Him and to hear His voice. Abraham, Moses, Elijiah John the Baptist and even Jesus went regularly to the desert. This trip was particularly special for me as the Lord combined my old time love of Hollywood with the fun and fellowship of my friend, delicious gourmet meals and spectacular sunsets. I think Psalm 116:7 says it best: Return to your rest, O my soul, for the Lord has dealt bountifully with you. Thank you Lord for this time. I hope I can return time again and again. Enter your email to receive new posts. It's easy, and your email will not be shared! Hit subscribe when you are done. 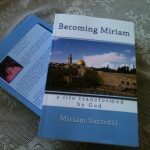 miriam on A Chair by Any Other Name….is a Scripture Art Chair! Laura Bennet on A Chair by Any Other Name….is a Scripture Art Chair! 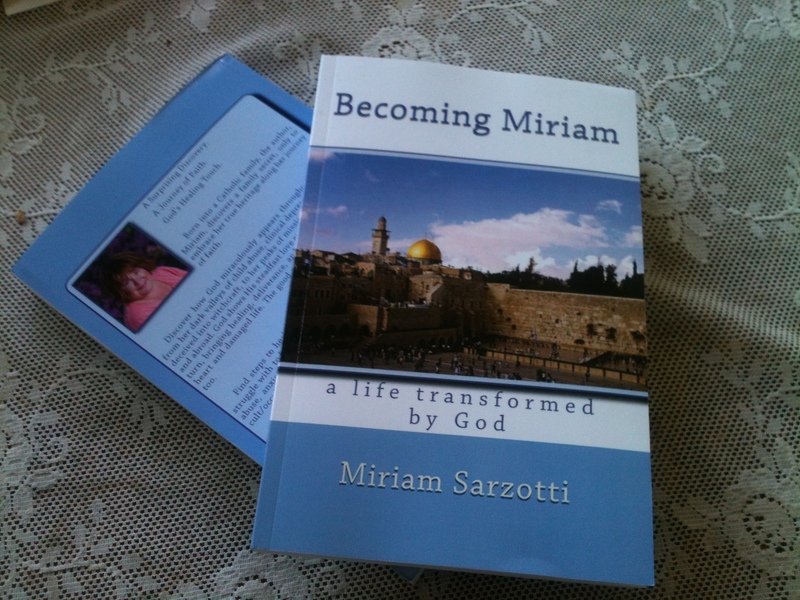 miriam on Two New Devotions Published – Take a Peek!